Saved by the Bell was the favourite TV Show of thousands of 90s kids. 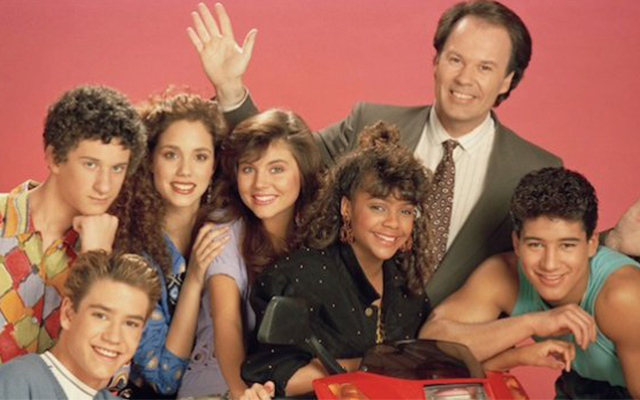 There was nowhere I’d rather be on a Saturday morning than hanging out with Zack, Kelly, Screech, Lisa, Jessie, Slater and Mr Belding at Bayside High. But when the final freeze-frame was shown and the giant cellphone was upgraded, what happened next to the old gang? Everyone’s favourite hearthrob, Gosselaar, has worked steadily as an actor and model since the show ended. His recent TV roles include a leading role as Peter Bash in the comedy-drama series Franklin & Bash and sporadic appearances as Paul Winthrop in CSI: Crime Scene Investigation. According to his IMDB bio, he’s also an “avid pilot”. Like some kind of superhuman, it seems Mario Lopez hasn’t aged a day since 1993. After the show, he went on to host a range of shows, including The X Factor, and came 2nd on Dancing with the Stars in 2006. He’s also published a fitness book, a cookery book, and released a children’s book in 2011. What became of Bayside’s sweetest cheerleader? After Saved by the Bell, she spent four years playing Valerie Malone in Beverly Hills, 90210 and has continued to take on a range of film and TV roles. Thiessen has a huge following on social media and runs her own lifestlye, home and cooking blog. In 2015, she began hosting Dinner at Tiffani’s on the Cooking Channel. Go Kelly! Saved by the Bell’s most stylish (and sassy) student went on to appear in various sitcoms and soap operas, including The Fresh Prince of Bel-Air and The Bold and the Beautiful. She also featured in music videos for acts like Boyz II Men and Montell Jordan and now runs her own production company. GOSSIP ALERT! It’s been reported that Lark and Mark-Paul Gosselaar dated for three years during the show’s run. Ooooooooooooooooh! Berkley’s post-Bayside career included a role in the widely-critisied film Showgirls, but improved soon after with a range of TV and film appearances. Switching to the stage, she gave critically-acclaimed performances on and off-Broadway. Berkley channeled her Jessie Spano when she started a self-help program for teen girls called Ask Elizabeth in 2006. She published a self-help book of the same name in 2011. Dustin went down a path that I’m not sure Mr Belding would have approved after Saved by the Bell… After incorporating his role in the show into some ‘adult entertainment’, including a book and a movie, Diamond was imprisoned after he stabbed a man in a bar-fight in 2014. As Screech would say – zoinks! Dreams came true when some of the Saved by the Bell gang reunited in 2015 for a sketch on The Tonight Show Starring Jimmy Fallon. Ready to start creating a new future? Studying online with Open Colleges can help you get the skills to start working towards a new future. So whether you’d like a new career, your next promotion or to learn more about a long term passion, we can help. Browse over 100 courses here.